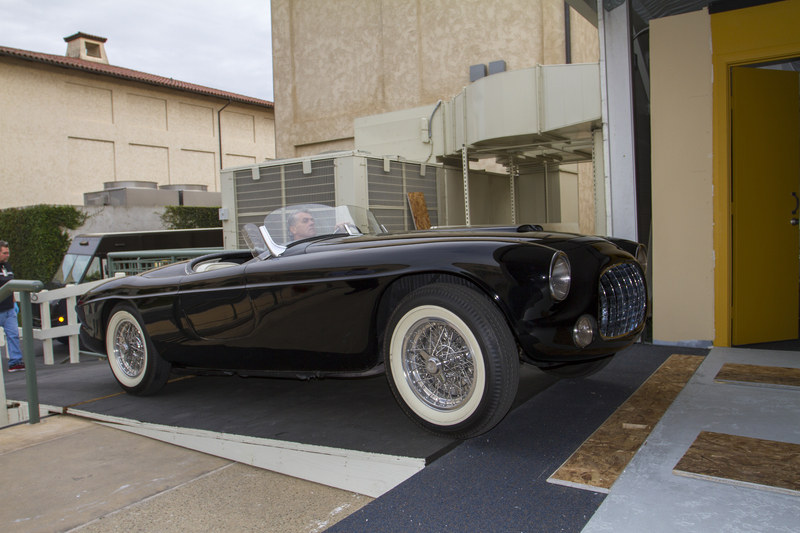 On Friday February 6th, The Ronald Reagan Library located in Simi Valley, CA, presented vehicles from The Margie and Robert E. Petersen Collection and Petersen Automotive Museum Vault. The event was to celebrate our 40th presidents birthday, and what better way to celebrate then a 21-gun salute, jet plane fly-overs, and a collection of some of the most beautiful cars all in one afternoon. This is the last Ferrari Barchetta (Italian for “little boat”) ever built and the last non-racing Ferrari bodied by Touring. 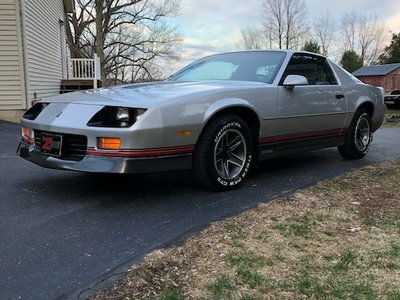 It was ordered by the Ford Motor Company in the name of Henry Ford II and delivered new with a three-carburetor 225 engine and left-hand drive. Soon after delivery, Henry showed the car to a member of the Firestone family who said “this car needs whitewalls,” and had a set of Firestone 500 whitewalls specially made for it. 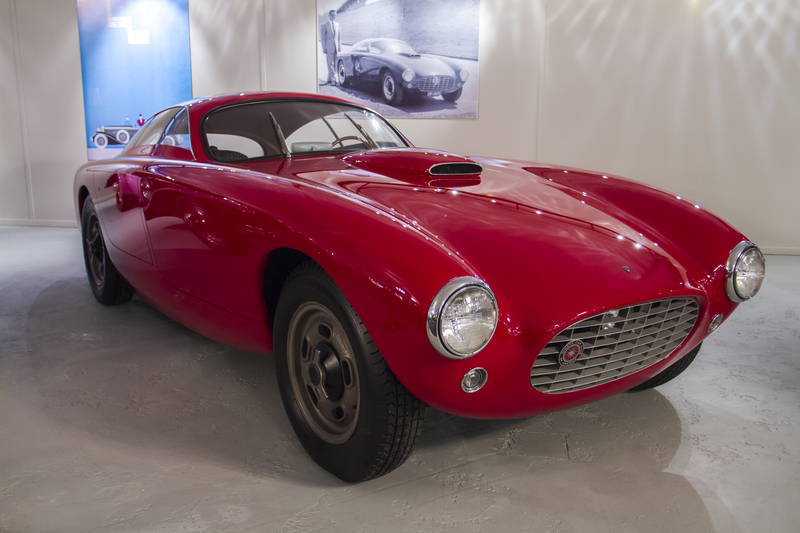 The rare Barchetta was one of the European sports cars evaluated by Ford stylists during development of the Thunderbird and it is believed to have inspired a number of 1955 Thunderbird design features, including the egg crate grille, crossed flag Thunderbird emblem, and headlight brows. Having traveled less than 13,000 miles since new, it has never been restored and retains its original paint and numbers-matching engine. Believed to be the most original mercer Type 35-J in existence, this car was delivered new by the Whiting Motor Co. in New York to Mr. and Mrs. John F. Gray, in whose family it remained for over 30 years. In 1914, the family shipped the Raceabout to the west coast and used it for several years in and around Del Mar, California. The Mercer was then retired and the tires were donated to the war effort. In 1943, it was sold to collector Herbert Royston, with whom it remained until the mid-1970s. It was then purchased by famed race car driver, Phil Hill. This 60-horsepower, 5-Liter Raceabout cost a high $2,500 when new and ranks among the most sought after brass era cars in the world. In 1929 DuPont campaigned four cars at Le Mans. After the race, the company produced both two- and four-place versions for sale to the public. 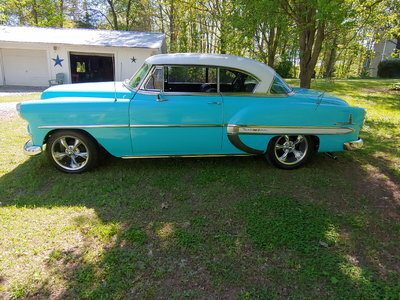 All were powered by 125-horsepower straight-eight engines and sold for a high $5,335 when new. Records do not exist showing how many Du Pont Speedsters were originally constructed although only nine are known to survive, just three of which are boat tails like this car. This rakish Speedster was delivered new in Los Angeles and remained in original, but worn condition until the late 1980s when it was restored to its current concours standard. The L-29 was the first American front-wheel drive car to be produced in quantity. Selling for approximately $3,300, it bridged the price gap between E.L. Cord’s middle-class Auburn and ultra-expensive Duesenberg. This car’s four-door convertible coachwork combines the sporting dash of an open car with the comfort and passenger-carrying capacity of a sedan and is especially suited to the car’s low profile, made possible by the elimination of a conventional drive shaft. Unfortunately, few buyers were willing to purchase an unproven luxury car at the beginning of the Great Depression and production of the L-29 ended after just 4,400 cars. 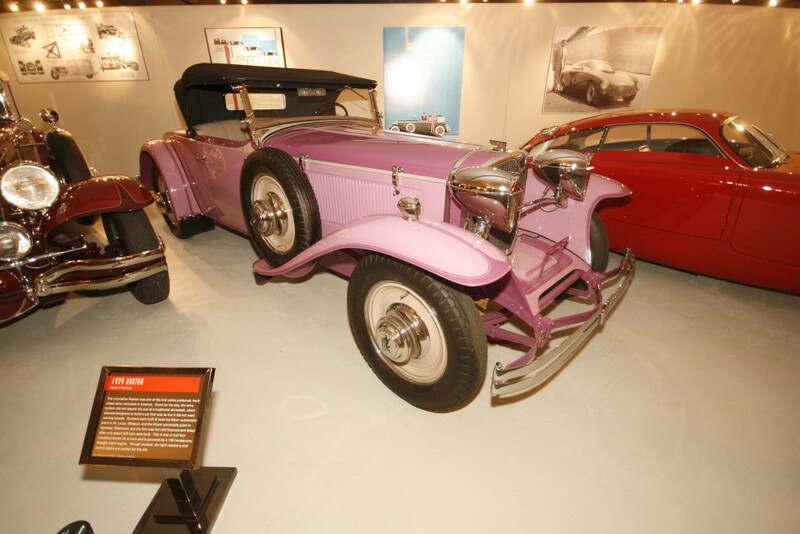 Although more than 50 Duesenbergs of the 481 originally built were equipped with convertible coupe coachwork by Walter M. Murphy Co. of Pasadena, it is unlikely that any two were exactly the same. In addition to color, trim, and fabric choices, buyers could specify side- or rear-mounted spare tires, forward- or rear-hinged doors, disappearing or non-disappearing top, trunk or rumble seat, and a variety of other details. 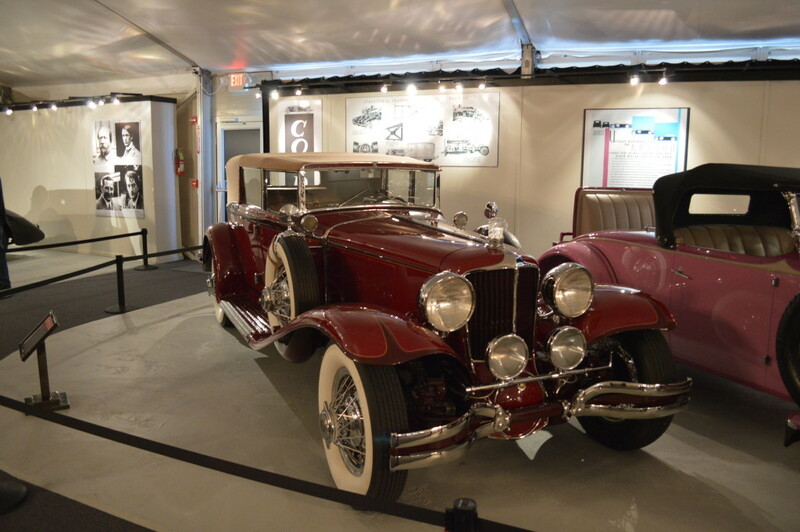 The Duesenberg Murphy roadster was priced when new at $13,500, about the cost of 25 comparable Fords of the day. The car was so powerful that promotional materials of the day stated that a Duesenberg owner could be passed by another car only when he wished to be passed. 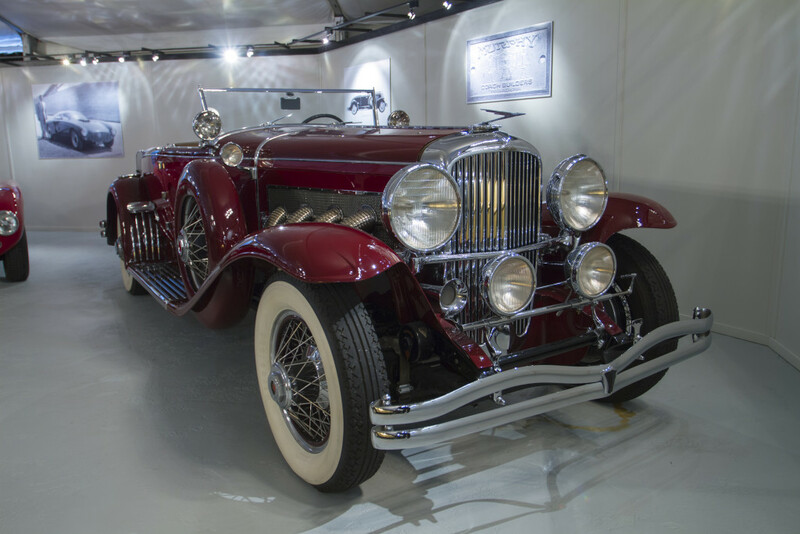 The innovative Ruxton was one of the first series produced, front-wheel drive cars built in America. Novel for the day, the drive system did not require the use of a traditional driveshaft, which allowed designers to build a car that was so low it did not need running boards. Ruxtons were built at both the Moon automobile plant in St. Louis, Missouri, and the Kissel automobile plant in Hartford, Wisconsin, but the firm was not well financed and failed after only about 500 cars were built. This is one of just four roadsters known to survive and is powered by a 100 horsepower, straight-eight engine. Though unusual, the light raspberry and orchid colors are correct for the era. The innovative Plymouth Sniper was designed by Chip Foose and built by Troy Trepanier and makes use of numerous Dodge Viper components, including the V-10 engine and drive train, suspension, wiring, gauges, and other interior features. 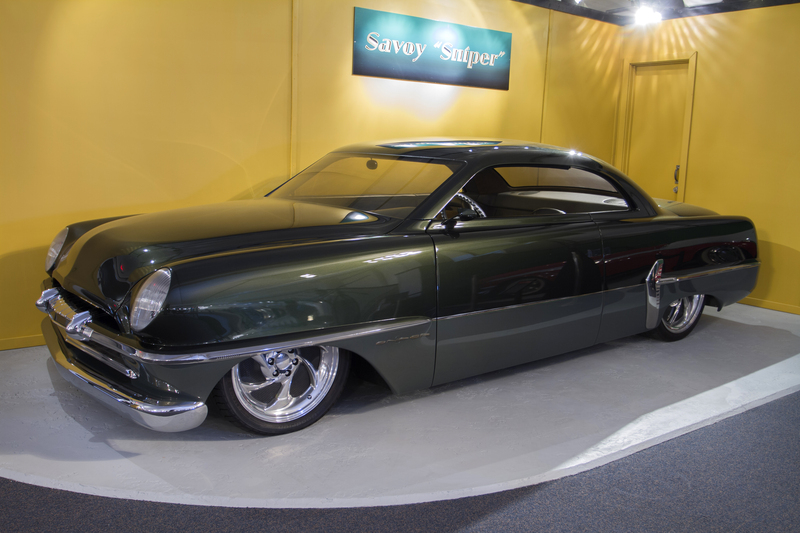 Its name a contraction of “Savoy” and “Viper,” Sniper won a great deal of acclaim upon its debut, including the 1999 Street Rod of the Year award, the Goodguys Custom Rod of the Year award, and the Alexander Brothers Award of Excellence. Like important car designers before him, Chip Foose wins acclaim by designing vehicles that embody a subtlety and elegance not normally associated with others of their type. Tiring of the conservative General Motors corporate culture, John Z. DeLorean resigned his executive position in 1972 then set out to build a sports car of his own design. 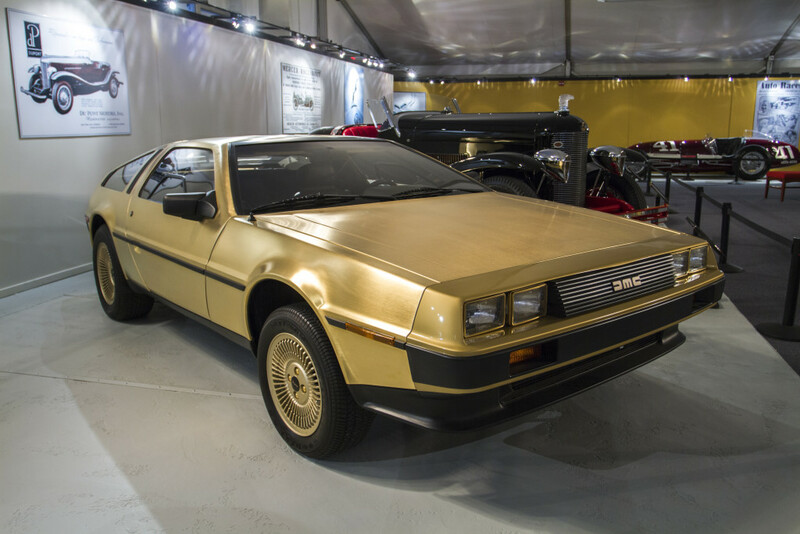 Produced in 1981 and 1982, his DeLorean was distinguished by a mid-mounted engine, and a brushed stainless steel body designed by Giorgetto Giugiaro of Italdesign that was sleek, angular and equipped with gull wing doors for added distinction. Manufactured in Northern Ireland, the car proved too expensive to sell in profitable quantities and production was halted after only about 8,500 were built, including three 24-karat gold-plated models created for an American Express promotion. Powered by a Chrysler Hemi engine, the low slung, fiberglass Bosley had an advertised top speed of more than 160 miles per hour. Intended as a dual-purpose sports/racing car, the Bosley had a 55 gallon gas tank which made it ideal for long distance races. 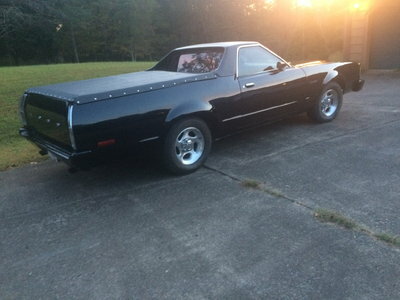 Ohio-based creator Richard Bosley found it difficult to secure funding to produce his car in quantity. 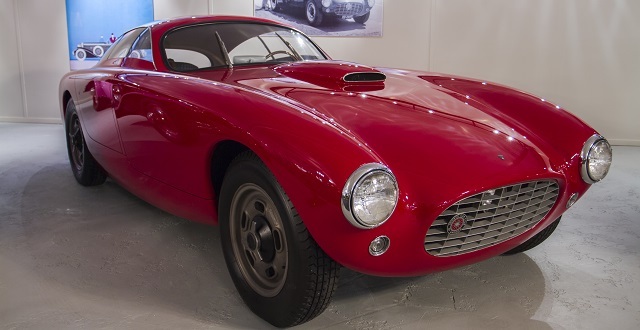 Built at a cost of over $9,000, this prototype remained the only Bosley GT Mark I ever produced. A second Bosley, the Interstate Mark II, was produced in 1961. Powered by a Pontiac V-8, the Interstate Mark II was based on a 1957 Chevrolet Corvette chassis. Like the GT Mark I, it did not progress beyond the prototype stage. 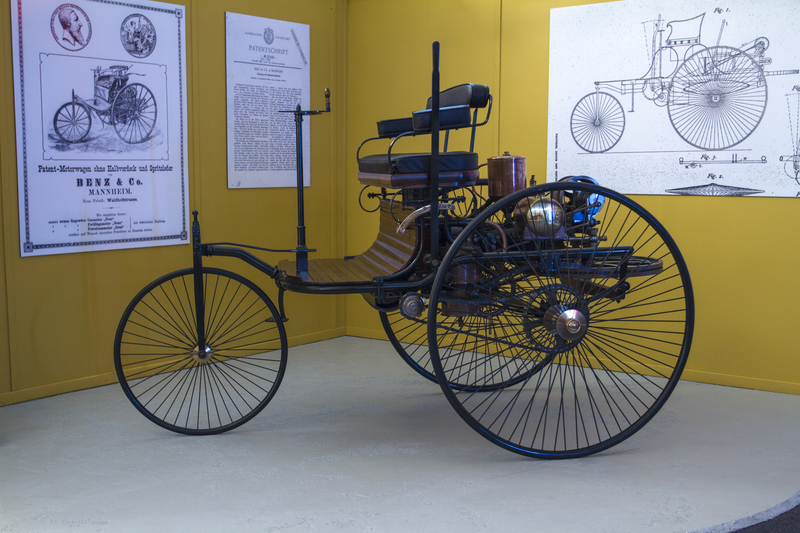 The Benz Patent Motorwagen is regarded as the world’s first practical car. Designed from scratch to be an automobile, it differed from other powered vehicles of the day, which were derived from horse-drawn carriages. Its one-cylinder engine produced approximately ¾-horsepower and could propel the three-wheeler to a top speed of about ten miles per hour. The engine was started by manually spinning the large flywheel, which was mounted horizontally because Karl Benz believed that the gyroscopic effect of a vertical flywheel would compromise the vehicle’s stability. 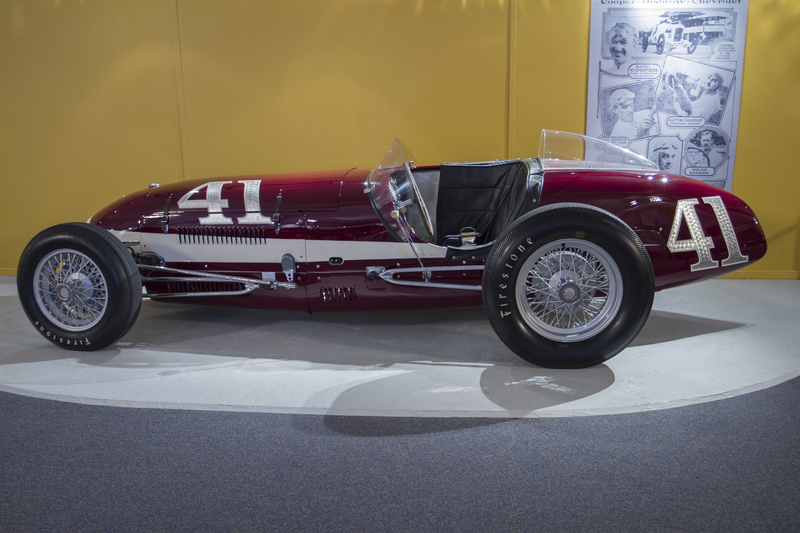 Amid a field of primarily left over pre-war racers, the Ross Page Special stood out as one of the few newly designed and built cars to race in the first Indy 500 after World War II. It was manufactured by up-and-coming racecar constructor Frank Kurtis and powered by a 183 cubic inch Offenhauser engine for which noted engineer Leon Duray designed a special Roots-type supercharger. The Special placed eleventh in 1946 (despite having to retire), ninth in 1947, and retired again in 1948. After failing to qualify for subsequent races, the special was withdrawn from further Indy competition. 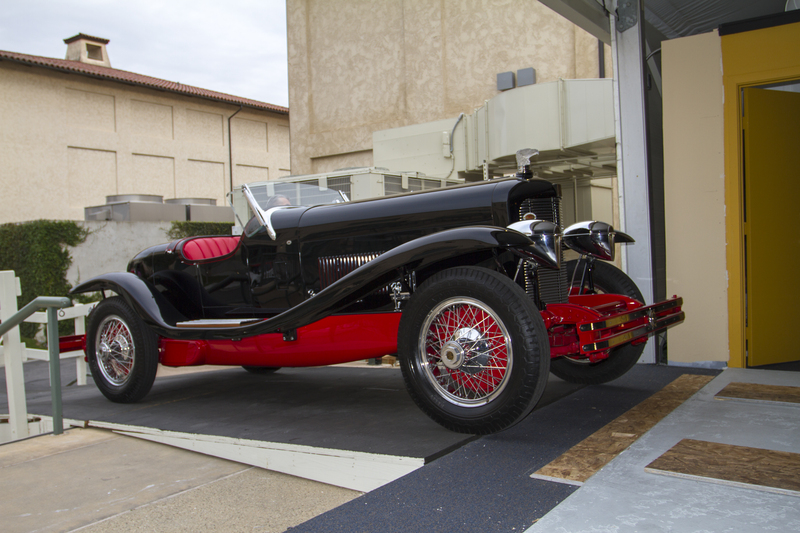 The donor later acquired the car, restored it, and briefly campaigned it in vintage events before donating it to the Petersen Automotive Museum. Few hot rods evoke the spirit of the Grand National Roadster Show like Golden Star, a radically modified 1925 Ford Model T so carefully designed and built that it won the AMBR award an unprecedented two times in three years. 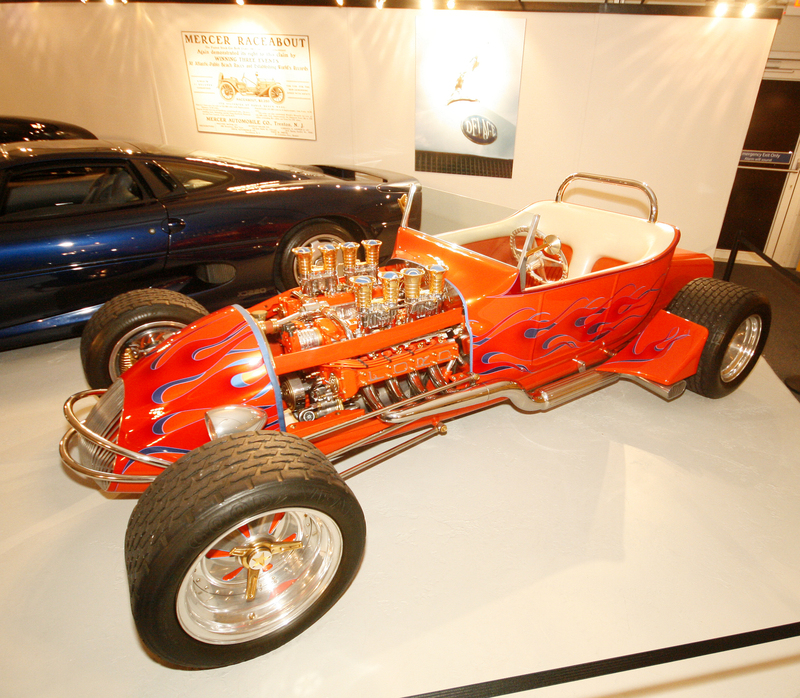 Expertly constructed by noted hot rod builder Don Thelan, Golden Star was almost entirely hand-made. Parts of two Model T Fords were used to create the body, which was bonded to the frame in order to create a semi-monocoque structure that was both rigid and streamlined. The fiberglass nosepiece was hand-built from scratch and is fitted with a specially designed brushed stainless steel insert. 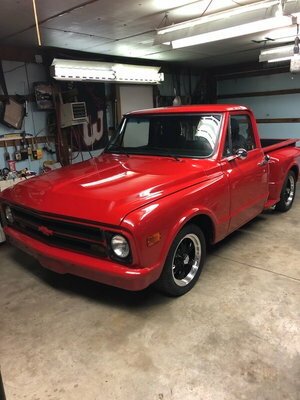 Other custom styling touches include frenched taillights, billet windshield posts, and simple bumpers that resemble those of a traditional track roadster. All bolts, nuts and washers were polished and plated with 24-karat gold. 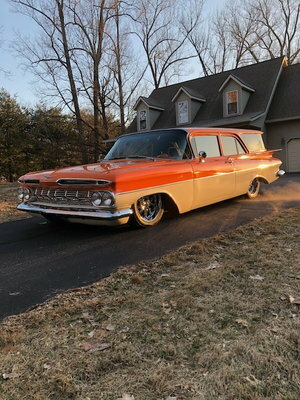 Special interior features include a hand-molded curved seat back frame covered with pleated and rolled upholstery sewn from three shades of vinyl. The dash insert is stainless steel placed in 24-karat gold. All dash knobs are billet machined and are also gold plated. The VDO instrument faces were silk screened in neon orange. To make Golden Star perform as good as it looks, Immerso installed a 255-cubic inch 1965 Ford double overhead-cam Indy racing engine. He ground and polished the block, then painted it to harmonize with the car’s color scheme. Hand-built aluminum intake manifolds were installed and custom billet aluminum velocity stacks were gold plated for maximum effect. The firewall was crafted from engine turned stainless steel and embossed with the “Golden Star” name. Fully operational, Golden Star is equipped with a roll bar, seat belts and a halon fire suppression system for safety. To showcase the car as dramatically as possible, Immerso’s display incorporates a five-sided railing with built-in lights, specially woven carpet and a rotating stand with custom mounting brackets. Such a presentation creates a level of excitement that appeals to both the press and public and attracts favorable attention from the judges. It also raises the already high standard embraced by vehicle owners and builders who continue to build ever more dazzling vehicles in an effort to win the coveted AMBR award. Powered by an advanced 3.3-liter twin-cam straight-eight engine, the Type 57 Bugatti was a fast, comfortable touring car. 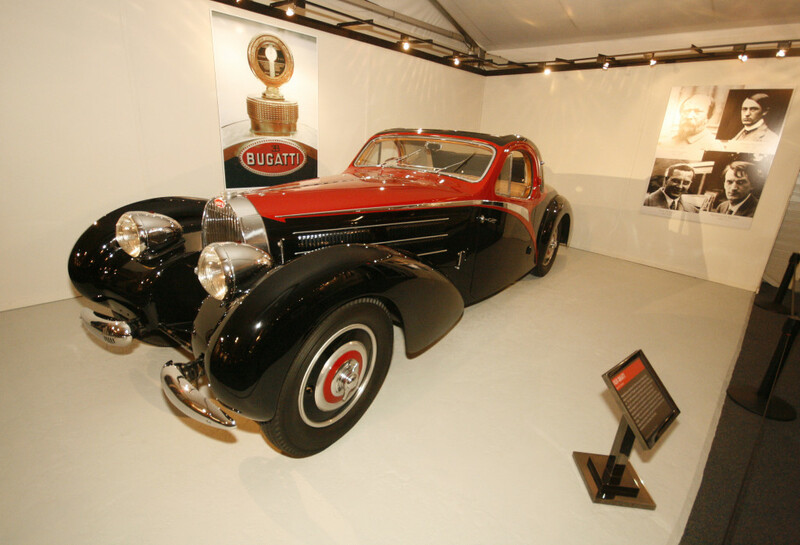 The 160-horsepower supercharged version, known as the Type 57C, was introduced in 1937 and built for two years. Ettore Bugatti’s son Jean significantly influenced Type 57 coachwork and was responsible for designing some of the most elegant Type 57s produced, including the rakish Atalante coupe. This unusual example is distinguished by its “long tail” design and roll-back roof, and was the only one delivered with chrome trim on the sides of the body. The extreme length of the Delage D-8 chassis gave coachbuilders the freedom to create streamlined cars with fashionably long hoods. The Aerosport was designed by Letourneur et Marchand of Paris and featured pillarless “hardtop” styling and a fin on the trunk. 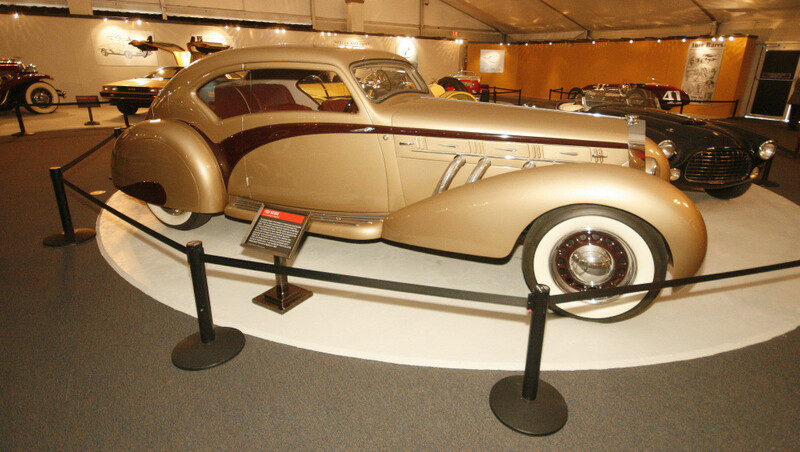 The styling was so highly regarded that an Aerosport was one of a pair of Delages chosen to represent the French government at the automotive display at the 1939 New York World’s Fair. Discovered in a barn in France during the early 1990s, this Delage received a meticulous restoration and is painted its original colors. 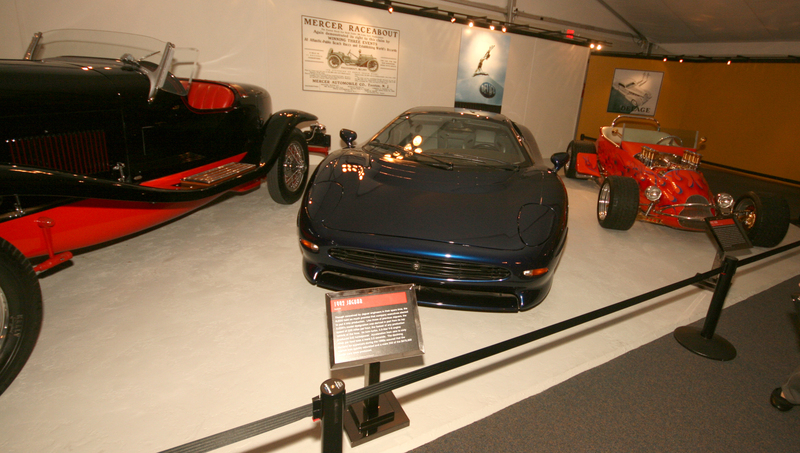 It was awarded the French Cup at the Pebble Beach Concours d’Elegance in 1999.